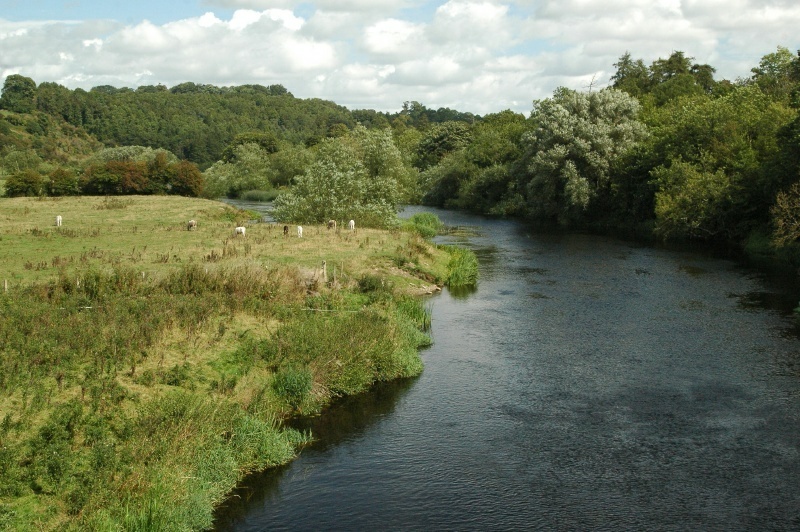 The River Boyne as seen from the suspension footbridge from the visitors' centre to the buses to the tumulus. I continue to be astonished at how much certain parts of the Irish countryside reminded me of my native Chenango County, Upstate New York, in America. This scene could very well be of the Chenango River instead of the River Boyne.